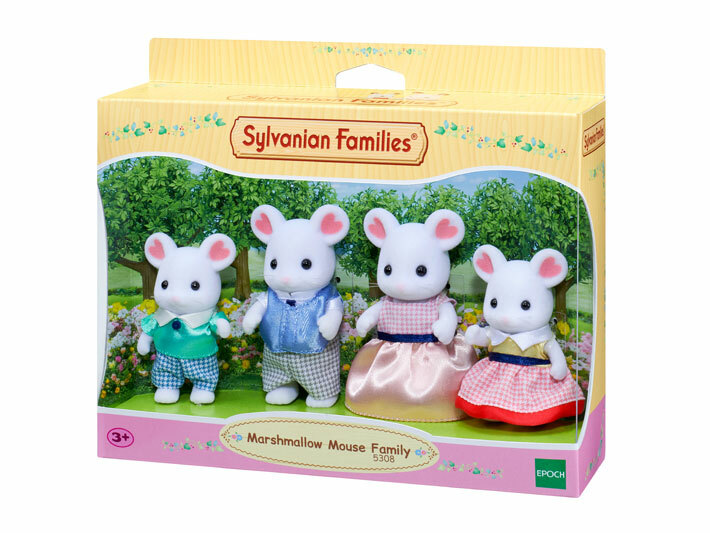 Marshmallow Mouse Family is a four-piece set including Marshmallow Mouse Father, Mother, Boy and Girl. The figures' heads, hands and feet can be moved, allowing them to take on a number of different poses. 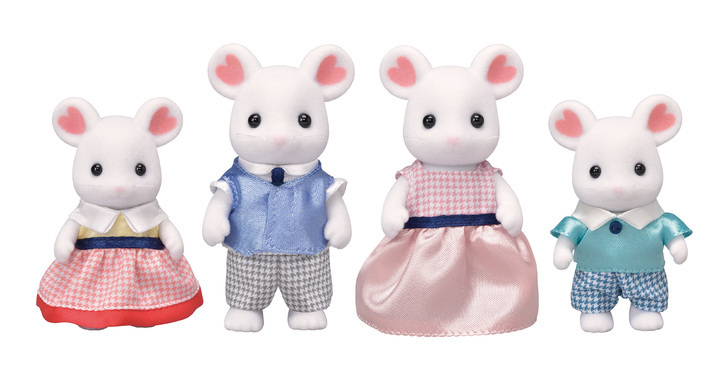 Marshmallow Mouse Family is a cute family characterised by flower petal patterns on their ears. 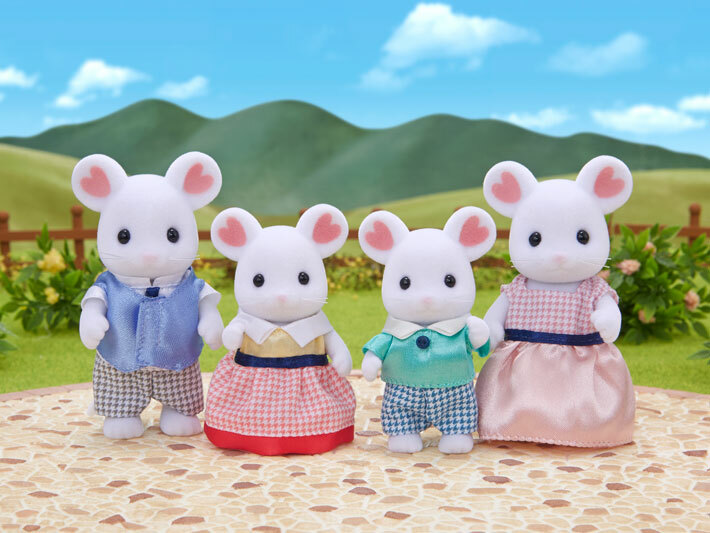 The father who loves food, intelligent mother, boy with an amazing memory and girl who is excellent at arithmetic make up this wonderful family. 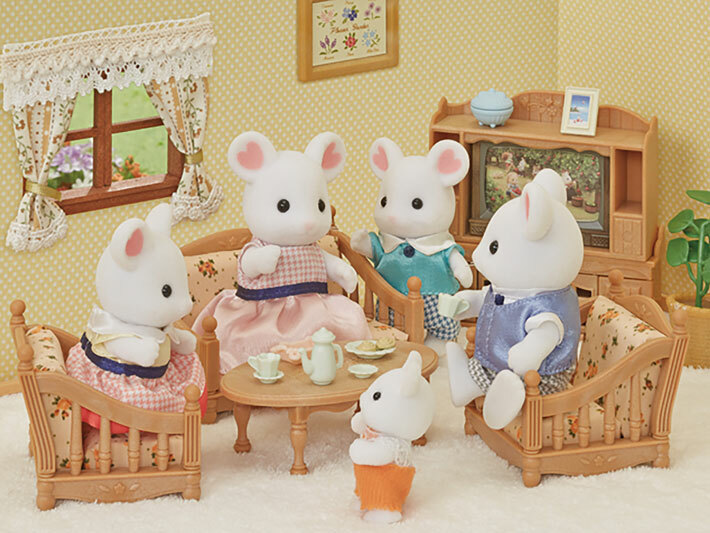 Have even more fun playing together with Marshmallow Mouse Baby and Marshmallow Mouse Triplets, and create a family of 8 (sold separately). Combining with other homes, furniture, and figures allows for even more enjoyable pretend play (sold separately).